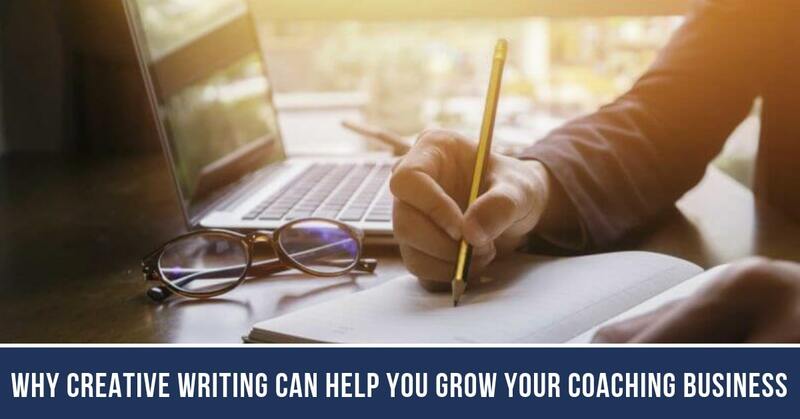 Today more than ever, coaches, trainer, and small business owners can use writing skills to connect with and attract new clients. For example, a well-written blog can boost your reputation in the community, and a creatively crafted email or newsletter can attract new clients. Developing writing skills can reap huge benefits for your coaching business and here is why! Well-written, error-free copy that is targeted to your audience enhances your image and helps convey your company values. First, decide who your target audience is. Then use a style and tone that speaks to your coaching niche and their specific needs. If you get your message wrong, you could quickly lose your reader’s attention and the opportunity for them to take interest in your services. Knowing your audience will also determine the tone you use in your writing. Many blog articles use a conversational tone that works well for connecting with your clients and new readers on a one-on-one basis. However, that same casual tone may not work in all circumstances. For example, if you are informing your audience on injury/medical signs and symptoms and options for treatment, you may need a more serious tone. After you have determined your audience, you can use your words to persuade that audience to buy your product or service. Effective persuasive writing incorporates research using reliable sources. If you are trying to convince your potential clients to switch from the service they are using to yours, or to try out your service for the first time, you will need to convince them that it is worth it. The internet offers great resources for finding case studies and surveys to back up your points. Be careful to use timely sources and relevant statistics. Quote experts in your field and use reliable testimonials from people you already serve. These great writers all believe in the importance of brevity and clarity. You do not want your goal to be writing to a certain word length or to fill a certain space, but instead to deliver a specific message. Choose each word with care, and if you have included words that do not add to your meaning, take them out. One of the best ways to be clearer in your writing is to read your work over carefully after you have written it. In fact, you tend to be more objective about your own work if you let some time pass before returning to it for a second time. Another option is to ask a friend or colleague read your work. Ask for honest feedback on your tone, style, and message. Your potential customers and clients are constantly bombarded with websites, email, social media posts, and print material. How can you make your work stand out? The way your work looks on the screen or on the page is very important. You want to create plenty of room around your words by using bullet points, numbered lists and subheadings. Whenever possible, utilize high-quality images that can be used to illustrate your words. Breaking up large sections of your text offers your reader’s eyes a break and helps maintain interest and attention. Use short paragraphs and vary your sentence lengths. Create a sense of positivity. How will your information help the reader? You should let readers know the benefits near the beginning of your piece of writing. Demonstrate the value they will gain by reading your work. Your company’s written communication reflects the character of you and your team. Clear, concise writing demonstrates that you value quality. Don’t fall into the trap of churning out blog article after blog article if you really don’t have anything new to say. Focus on quality over quantity. It will serve you better in the long run. As a Spencer Institute certified coach, you will gain this immense satisfaction as you help clients develop and achieve their personal, financial, fitness or health, emotional and wellness goals. Working with people who are eager to learn and gain clarity will give you a real sense of purpose. It’s good to help others. Filed Under: Blog Tagged With: creative writing for my business, How can I improve my business email writing skills?, How do I create a blog for my business?, How do I write a blog to promote my business?, How do I write a business description?, how to write for your business, What are some professional writing skills? Learning how to become a life coach at the Spencer Institute has been a great way for me to grow my coaching business. I really liked that I could work full time while learning life coaching on my own time schedule. Not only do I now have coaching clients, but I also attract more psychotherapy clients who choose me because I can offer coaching in addition to psychotherapy. Earning the Spencer Institute's Wellness Coach Certification was an excellent addition to existing education and experience. I now have a highly successful blog, healthy cooking business, cook books and much more. The sky is the limit. Get instant access to vital coaching career training and interviews from leading experts. A $147 value, yours FREE!